DELFT, 30 January 2019 ‑ Today, Kopano, a leading vendor of open source collaboration software, will officially release Kopano Meet: Kopano’s new video meeting app that combines the benefits of open source with great usability. Kopano Meet is the first open source, progressive web application for video-based communication that is suitable for use at enterprise level. The software is by default peer-to-peer encrypted and can be used in the private cloud. As a result, companies can keep their data under control, making Kopano Meet more secure than its closed source counterparts. 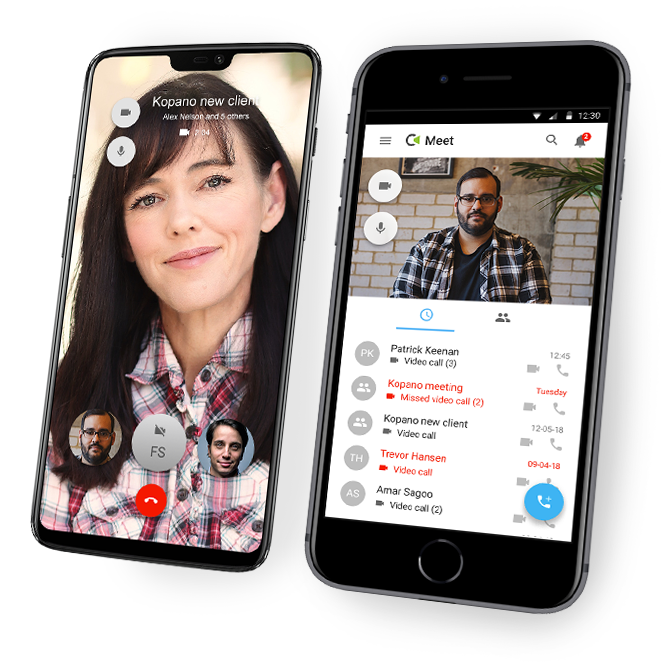 The first release of Kopano Meet includes high-definition video and audio, one-to-one video calling and group calls. In the next releases, we will add screen sharing and one-to-many video broadcasting to the set of functionalities. People who want to give Kopano Meet a try can check out the documentation on the Kopano community website. [Blog] Kopano Meet: It’s Nice To Meet You! User don’t want to fiddle with this client for that, other client for this and so on. I’m also in a company who use Skype for Business and it only becomes the defacto Standard because it isn’t good at all in specific tasks, but it’s one client programm for *all* collaboration. I never have a single chance if I suggest Kopano because of this reason. Also, video conferences don’t just happens on the Desktop or Tablet only, but also with room systems like Lifesize. Where is the integration for Kopano Meet? Then I must see half backed “integrations” like Mattermost. It feels like an foreign body in Kopano. Making integrations possible, and creating a seamless experience for our users is very important, and we are working on improving these things in Kopano too :). But we also see a growing interest in software that allows users to manage their data locally, or review and extend the software themselves. We try to make Kopano an effective tool for those users who prefer not to or can’t use closed source software like Skype for Business.